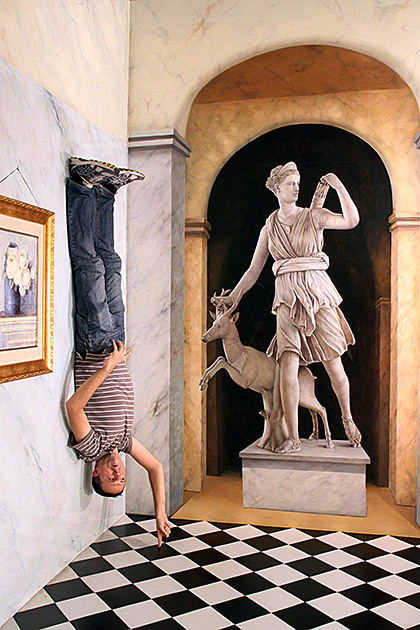 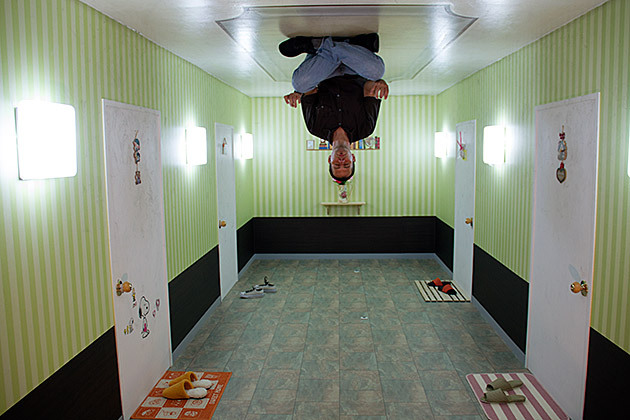 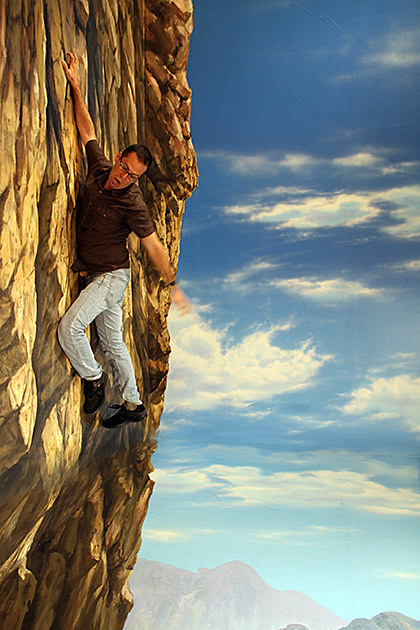 At the Trickeye Museum in Busan, South Korea, visitors are invited to pose for photographs in elaborate 3D illusion sets depicting fantasy and risqué scenarios and classic paintings. 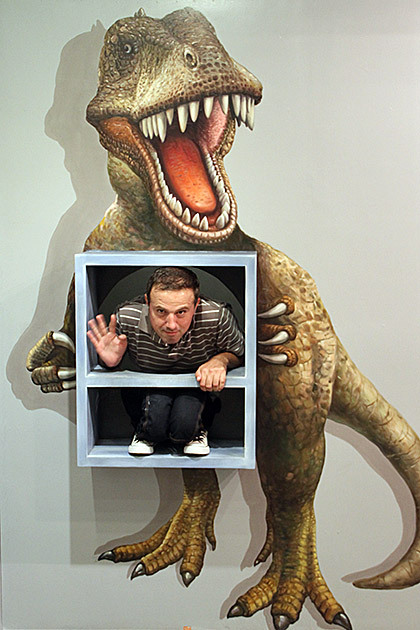 Travel writers Mike Powell and Jürgen Horn of travel blog For 91 Days recently visited the museum and took these photos. 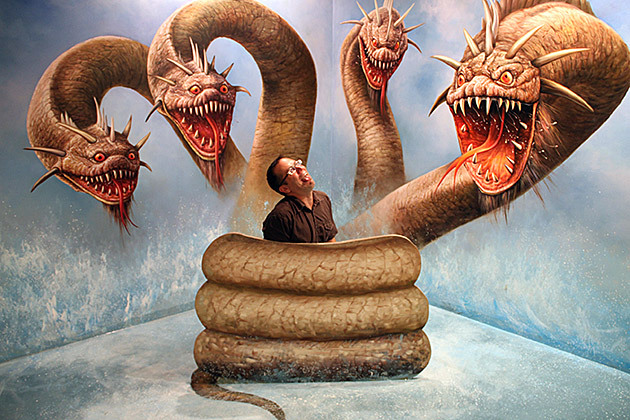 There are two other Trickeye Museums in South Korea, one in Seoul and another on Jeju Island.